Answer 1a. Because disposable pens are nothing more than a piece of plastic holding an indeterminate amount of ink that allows you to scrawl your thoughts down if you remember to carry a disposable pen with you. Due to the very nature of the product, you probably don’t carry a pen on you and therefore when you need one you end up asking someone else for one. 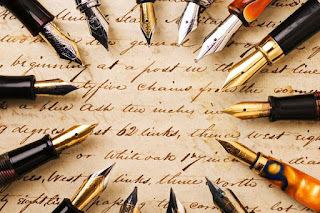 Owning a fountain pen, or any non-disposable writing instrument means you view writing as an important process, you care enough to invest time, money and space on your person, and you have thoroughly evaluated the product you are purchasing. This process reshapes your thinking about everything related to a pen, you spend time writing and considering what you write. You now have assigned a permanence and importance to annotating data, notes or thoughts; and as a result you will likely be a more thoughtful, creative person. Answer 1b. Using a fountain pen will likely improve your penmanship and potentially make you a more responsible person. My own journey into fountain pens was primarily as a way to improve my horrendous handwriting. But with that came a desire to repair and maintain fountain pens. I put a lot of time, energy and money into my pens and therefore I treat them with the respect they deserve. Sure they are tools, but they are tools that allow us to create art and collect memories and that is something to be cherished in a world that is all about the here and now, something designed to last multiple lifetimes that has the ability to collect hundreds of years’ worth of memories is a truly amazing product. A2. Fountain pens aren’t all expensive. Some wonderful fountain pens can be purchased for less than three drinks from Starbucks, and will perform wonderfully for hundreds of years if maintained. But fountain pens can cost a lot of money. While there is some debate on whether more expensive pens truly outperform the cheaper pens, there is no debate that some fountain pens merely exist because they are luxury items and are priced accordingly. I have found some sub-20 dollar fountain pens that outperform my 150 dollar pens all day long. I have also found several pens in the 80-150 dollar range that consistently perform as I would expect them to perform, heads and tails above their peers. Fountain pens aren’t expensive, most of the time you get what you pay for, and if you buy an 8 dollar pen from Asia, you are going to get the performance associated with that price. A3. Inevitably this question wanders off the path of n00b pen use, but I found myself asking this question early on in my own fountain pen journey, similar questions/comments have been made to me by non-fountain pen people recently. This is going to be my opinion only, but here goes. It comes down to two answers to this question. First, you will purchase a fountain pen and within a relatively short amount of time you realize you want nothing to do with a fountain pen and you move back to ballpoint/rollerball territory. 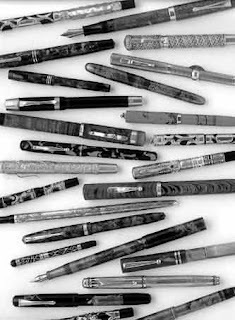 Second, you buy one fountain pen, then a short time later find yourself buying a second and within a year or two you have a “collection” of fountain pens ranging between 3 and 3,000. The first type of person is someone who will never truly appreciate a fountain pen for the intricacies and elegance inherent in the pen. 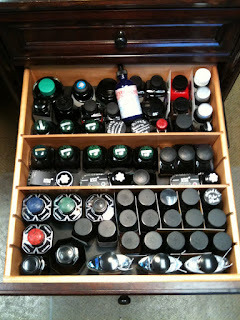 The second is the true fountain pen user that is at heart a collector and has found their collecting niche. Granted there is a small outlying group of people that are satisfied with owning one or two fountain pens, and while I understand the first group and am a member of the second group, I literally can’t understand the third group. A4. The obvious answer to this question is the Karas Kustoms INK and Karas Kustoms Fountain K. Actually, to be honest once the Fountain K is available, it will immediately make my “Fountain Pen Recommendation List”. Its size, weight and overall functionality make it a great beginner fountain pen. Plus it is nearly indestructible and that’s a big plus when thinking about buying your first fountain pen. 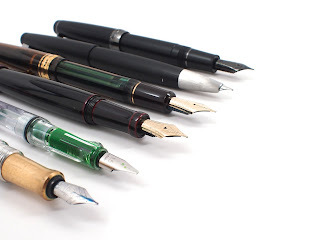 I am not going to go through my entire list, but considering the Fountain K will be in my top 5 I will go through the other 4 pens in my top five fountain pens for n00bs. And these are in no particular order. Pilot Metropolitan – For price, functionality and quality, this pen practically can’t be beat. If you are diligent about where you shop and what deals you find, you can get a Metro shipped to your door for 10-12 bucks. The nibs are like most Japanese nibs and “finer” than their German counterparts, but are extremely well made and perform quite well out of the box. Lamy Safari – This is a love it or hate it pen. The entire pen has a very unique design that doesn’t appeal to everybody, but the ease of use and nib swap and overall quality is definitely there. It should be included on any recommendation list. Parker 45 – I had to have a vintage pen on this list, and this one makes the most all around sense. 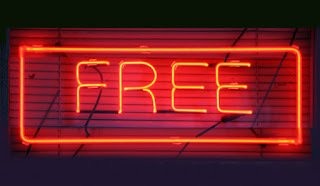 They are relatively easy to find, accept cartridges and converters still in production and are not very expensive. Plus they don’t normally need any real repair beyond a good soak and rinse. Combine all of those things with an iconic design and you have an awesome pen. Pelikan M200 – Until recently I wasn’t the biggest Pelikan fan, I had heard all of the hype but never used one of their products. Then I had the chance to borrow one for a week; that week changed my life and I went out and purchased one. The one I purchased was even better than the one I borrowed. This pen could be considered price restrictive for a first fountain pen purchase, but if you are diligent you can find good sales on Amazon for this item or a new one on Ebay for less than 80 dollars. If you can get one for less than 100, I think you have the best sub-100 dollar non-metal pen on the market as far as quality is concerned. A5. Keep Calm and Write On. You don’t need to be concerned with all that during your initial pen purchase (see below for inks). You may want a pen sleeve or something to carry your one pen in. If your first fountain pen is one of our pens, you can merely tighten the cap down good and hard and slip it into your pants pocket. It will be just fine, trust me I worked retail management for over a year with a Karas INK in my pants pocket every day. Didn’t damage the pen at all and my pants survived if I kept the cap on tight. A6. 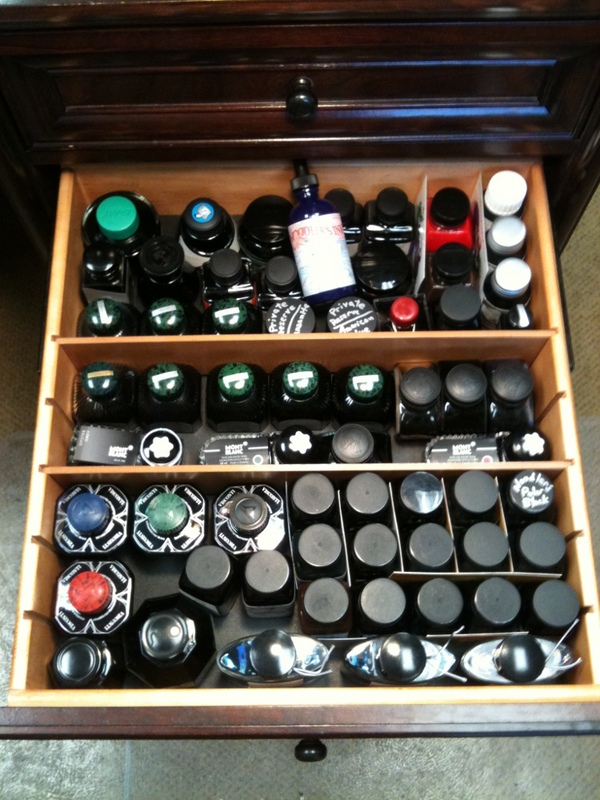 Yup there are LOTS of inks. For all kinds of uses. 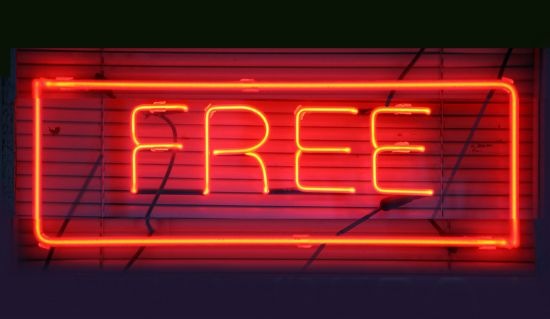 Here’s the quick down and dirty and two recommendations for first ink purchases. Don’t go crazy with ink. If you plan on carrying and using your fountain pen for work or school no crazy colors, keep it simple. Do some research on individual ink make up you don’t want to slap Iron Gall into your brand new pen and then forget about it for 6 months. Likewise you don’t want your first bottle of ink to be Baystate Blue, lots of people have made that mistake and gone on to rue that day. Here’s the recommendations I have for two fairly friendly beginner inks. Waterman’s Blue is a classic blue and can be found even in some office supply stores. It’s not flashy but it looks good and plays nice in any pen I have used it in. Noodler’s X-Feather is perfect for anyone that is going to be using a fountain pen frequently with really crappy paper i.e. you are a broke student that buys the 5 cent notebooks for all of your classes and spent all your money on your new pen; get a bottle of X-Feather as it will make your new pen work with your “oh so crappy” paper. Regardless of whether you get into fountain pens and stay in the hobby, testing out whether a fountain pen is right for you is something I believe everyone should do. It’s an otherworldly experience learning to write with a fountain pen. It doesn’t feel like writing with a regular pen. The process is that much different. The paper and the pen almost speak back to you as you feel the feedback through the pen. I might be waxing a little poetic but no two pens write exactly the same. They all feel slightly different on paper, and that feeling is one of the more personal aspect that a fountain pen can provide the user. Something that a ballpoint/rollerball can’t provide. It is one more reason I prefer fountain pens. Below you will find a list of resources that are more the “usual” beginner guide to fountain pens. Read them at your leisure. You will also find a link to a few spots I return to fountain pen advice and minutiae, these resources might be even more helpful to you. Goulet Pens Fountain Pen 101 - the best resource in my opinion as it has video to go along with it. Writer's Bloc - List of beginner fountain pen posts that I read early on in my fountain pen search, quite informative. 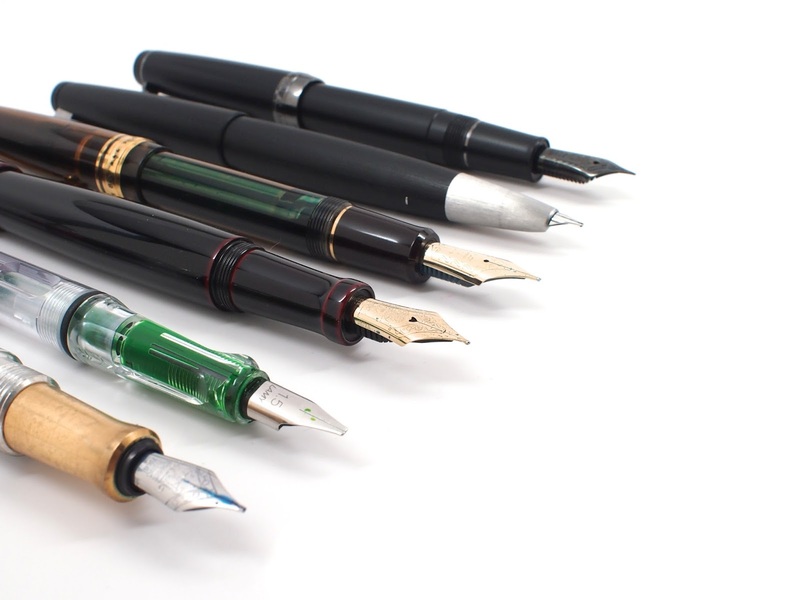 Jetpens Guide to Choosing a Fountain Pen - Jetpens is a great place to buy stuff, which is why it's here and not above, they do articles like this as well and there is good information on their site but they are first and foremost a business. FountainPenNetwork - The largest forum/network of fountain pen users in the world. 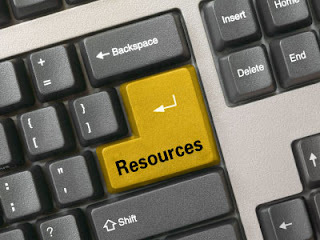 If this forum doesn't have what your looking for, likely the resource isn't available on the internet. This is the entire swimming pool from the kiddie side to the deep, DEEP end when it comes to fountain pens so it can get complicated and technical at times, but if you stay with fountain pens at any time you will want to be a member of this forum. 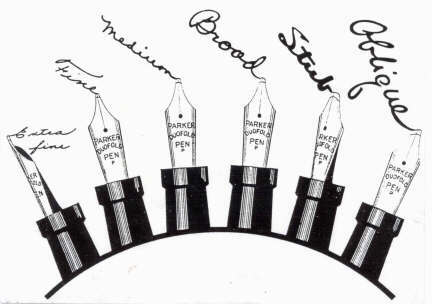 Richard's Pens Reference Pages - Richard Binder is one of the biggest names in fountain pen knowledge in the world. So big he has been featured on several major news networks in the past. His knowledge, especially on vintage fountain pens and fountain pen history is IMMENSE. His reference pages are a collection of decades worth of research all in one place. If you need something, and he doesn't have the answer, you likely won't get the answer anywhere. His site should be bookmarked by anyone that uses fountain pens as a place to look first for any fountain pen related topics. As far as I know every legal operation connected with either acquisition or winding up an enterprise should be reviewed with due diligence. Today the fastest way doing this is using VDRs. I have made some research in order to figure out which one is better and came to the conclusion that the more data security is guaranteed the better service is. I would recommend virtual data rooms in this case. Hello Karas, this is really nice fountain pens, I am gonna bought this Pen, thank you for sharing your reviews, want to see more fountain pens,see this site, they are having different options and reviews of best fountain Pens. Well Worn or is it Stonewashed..the Debate is on!